Factcheck: Does air pollution really cause dementia? - Unearthed Factcheck: Does air pollution really cause dementia? Factcheck: Does air pollution really cause dementia? It’s a frightening thought – that the air we breathe might be causing our brains to degenerate. People who live near busy roads are up to 12% more likely to contract dementia, according to a new study published in the Lancet on Thursday. The study by Public Health Ontario is comprehensive. It assessed the postcodes and medical records of 2.2 million people for more than a decade, and showed the closer people lived to roads, the more likely they were to have a dementia diagnosis. But it did not prove that the cause was air pollution from vehicles; less healthy urban lifestyle factors could also play a part. Scientists tend to approach the word “cause” with extreme caution. Unlike other health impacts, scientists working in the field deem it is not yet fair to say that air pollution causes dementia. Grigg added that future research should test other populations and look to define whether any impact on the brain is a direct cause of air pollution or transferred via a secondary effect such as the blood system. The Ontario study does not establish this. But there is a growing body of evidence that suggests the two are linked. In September, a landmark report was published in the Proceedings of the National Academy of Scientists (PNAS) that found toxic nanoparticles of an iron oxide called magnetite in “abundant” quantities in human brains. The tiny spherical magnetite particles discovered look distinct and are of a type that can only have come from an external, environmental source. Other recent research suggests these particles are linked to Alzheimer’s disease. Another study in Taiwan suggests that people living in areas with high levels of the particulate PM2.5 are more likely to get Alzheimer’s disease while other research points to a link with brain damage in children. So if air pollution does create a higher risk of dementia, where does this air pollution come from? 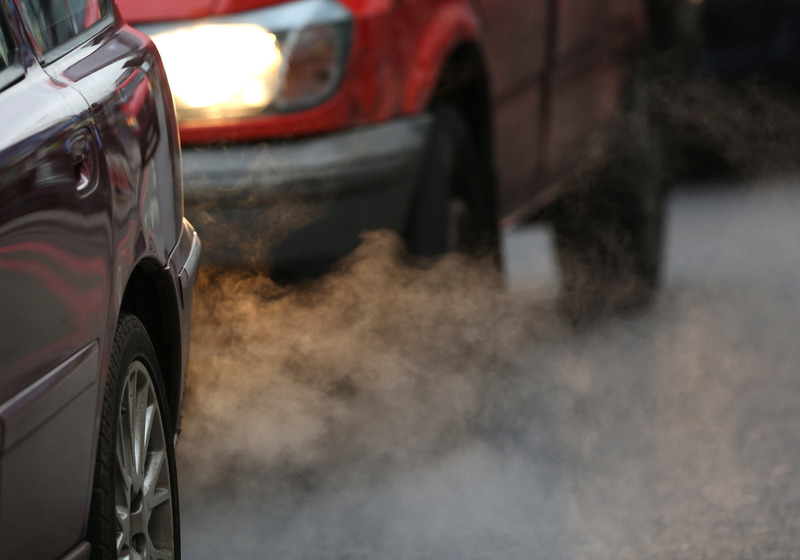 Vehicle emissions, chiefly from diesel cars, have long been blamed for Europe’s pollution problems. But this is generally viewed as more of a nitrogen dioxide than a particulate issue. Even so, the PNAS paper led by Prof Barbara Maher of Lancaster University, does point to diesel vehicles as a source of magnetite, which contributes to toxic particulate pollution. “Higher concentrations of magnetite pollution nanoparticles are likely to arise…in the outdoor environment from vehicle (especially diesel) and/or industrial PM sources,” it says. As magnetite is not currently monitored as a separate pollutant in the UK, Maher’s team conducted the research by monitoring pumped air samples and leaves along roads near to roadsides. They found greater concentrations of magnetite in high traffic areas. But Maher’s paper also says that “frictional heating, e.g., of brake pads, can also produce high-temperature magnetite nanoparticles”. And a 2012 paper published in the peer-reviewed journal Atmospheric Environment (pdf) found the concentrations collected on the brakes of vehicles in Rome was twice that collected in the exhaust pipes. Maher notes a number of other outdoor and indoor sources in her work: industry, open fires and poorly maintained stoves, as well as sources in the workplace such as printer powders. Research in Argentina, India and Mexico points to industries including cement, power plants, coke factories and metallurgy as a source of such pollution. So although it is not yet possible to say air pollution causes dementia, the evidence is certainly accumulating and is concerning scientists who work on related issues.